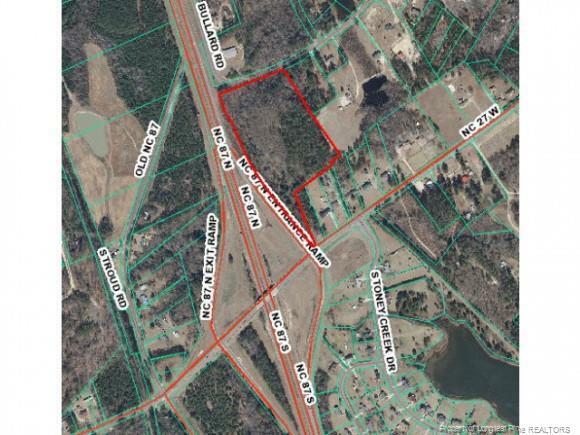 13.26 wooded acres at the NC Hwy 87 / NC Hwy 27 W interchange. Excellent visibility from 87. Frontage on Hwy 27 would allow for a sign, but no access. Access is Bullard Rd, off of Hwy 87.